Folded pens are fantastic for lettering and impossible to bloody find. 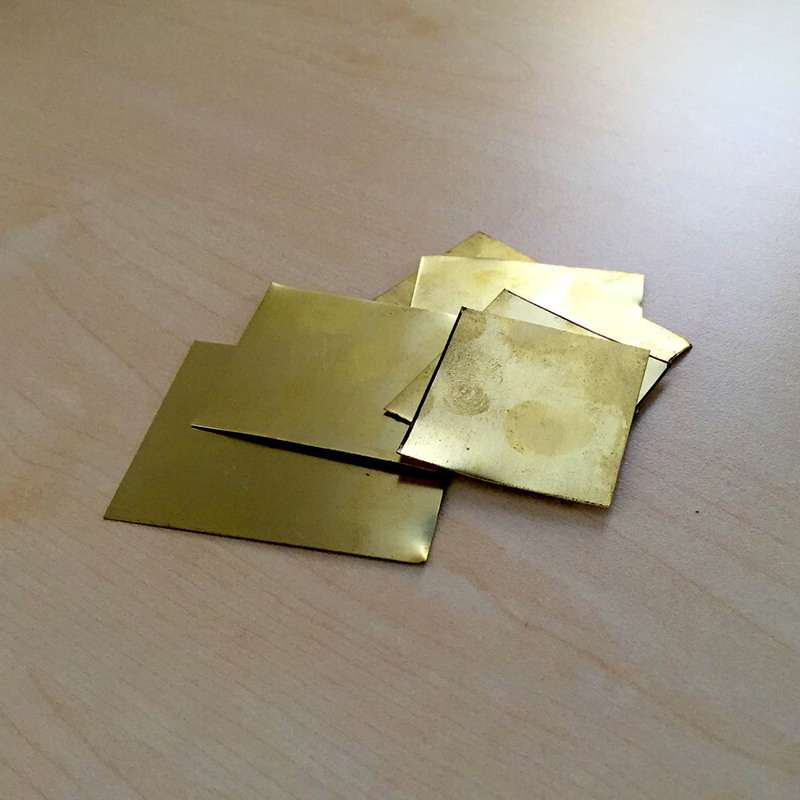 Brass sheeting on the other hand can be purchased off eBay fairly cheaply and easily, and with some pliers, a file and some cutting shears you can easily make your own at home. Here’s how! Oright. So if you’re inclined, you can purchase these online from a few places. I’m an Australian and shipping specialised items tends to be a nightmare if its even available at all. John Neil stock a few options and Tim Leigh produces some brilliant hand-tooled pens, but the difference in cost between buying either of these or making my own is astronomical so I thought I should give it a shot. I followed this guide by Uvulus and repeated the process a few times to compile a set of common nib shapes. It’s a well put together guide which I recommend checking out before reading on. I adapted my method a bit when I found there were a few other quirks to consider when working the nib, which I’ll cover throughout the post. There are a lot of guides out there for making these nibs out of aluminium softdrink/soda cans. These will produce their own uniquely splattery strokes due to the flimsiness of the material and are well worth playing with. I don’t want flimsy though. The flexibility of the nib makes them prone to tearing and deforming in a way that doesn’t compliment the letter forms I’m aiming for. I want something rigid that I can pull across the page without worrying about buckling. Flattening coke cans out is also a tedious affair, and this is a step you can skip when working with flat sheeting. 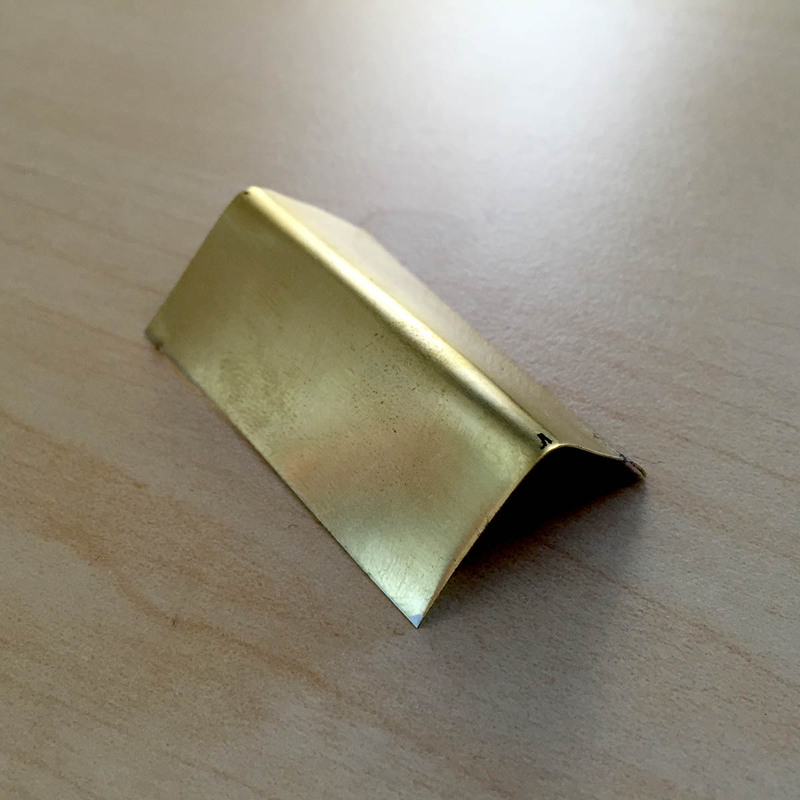 Here’s the aluminium “Cola Pen” I was using before the brass sheeting arrived, sitting on the bowed and flimsy sheeting you end up with after unrolling and flattening the can. This nib tore along the neck while I was applying pressure a few minutes into first use. How to do the thing. Your pattern may differ based on your intended nib sizes and the size of your sheeting. This is the most efficient use I could find for the size I was working with. Be mindful that each nib will be folded, so you need twice the width of your final nib. I marked things out with a permanent marker. I preferred this to scouring the line with a file, because the marking doesn’t need to be quite that precise and marker can be rubbed off later. You’ll buff any ink off in the polishing process so don’t fret about getting things dirty. It’ll all end up dipped in ink anyhow. Use your metal shears to cut the sheet up. Try to keep surfaces as flat and free from bowing as possible. Some warping at the corners is okay, as these will be cut off when trimming. 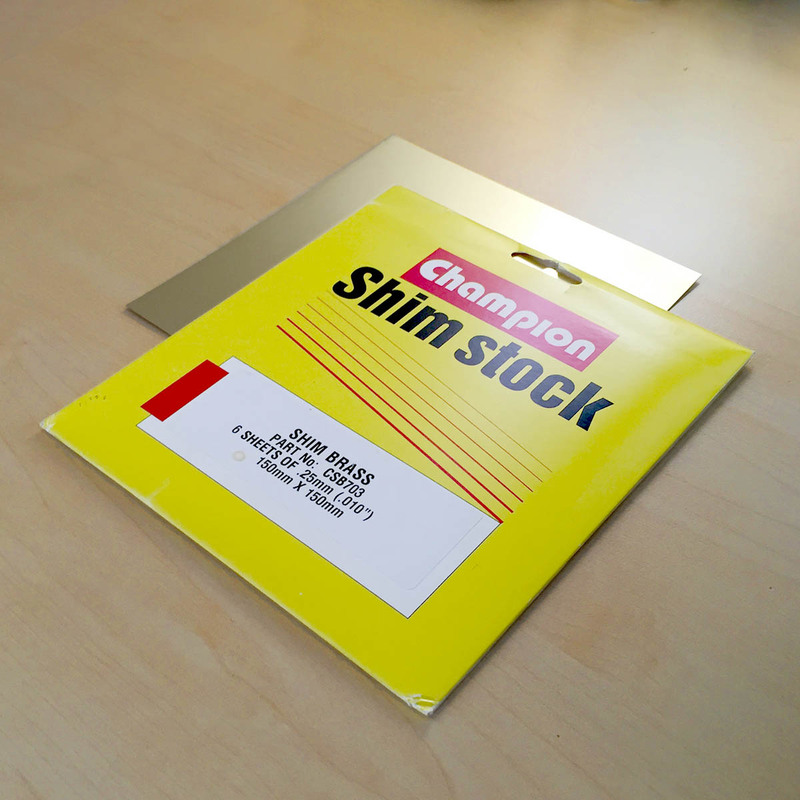 Once done you should have a pile of sharp shiney little rectangles like this. You’ll need a solid corner (such as the edge of a desk) for this step. I like to use a sturdy book or box to hold the plate in place with even pressure as well. Mark off the halfway point in the length of one of your rectangles and line this up with the corner of your desk. 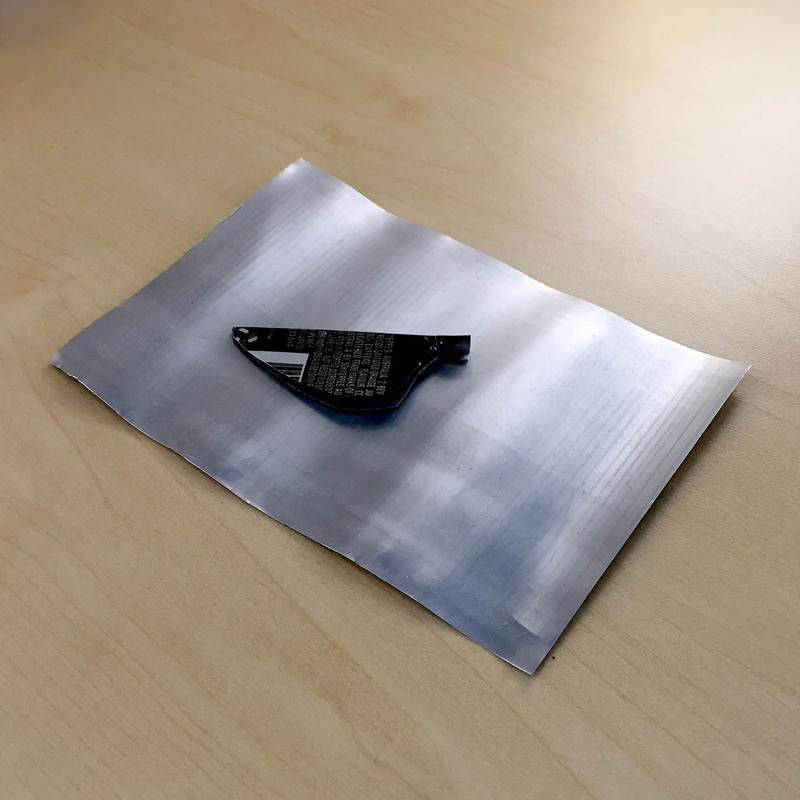 Carefully fold the metal downwards until you have an L shape, keeping the fold straight along your centre-line. THUS. Pinch the fold until its nearly closed and grab your pliers to bring the surfaces together, pinching close to (but not on) the spine. Closing the fold using a set of pliers like this rather than pinching it closed between your fingers reduces the chance that the sides will bow inwards. 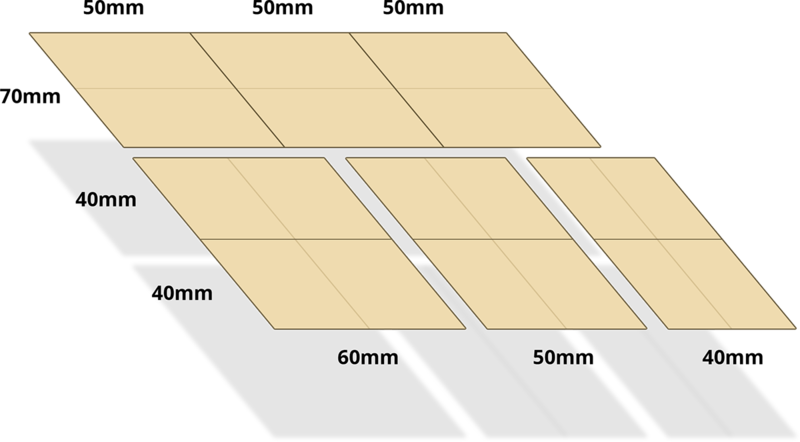 What you want is a uniform fold with two flat sides. 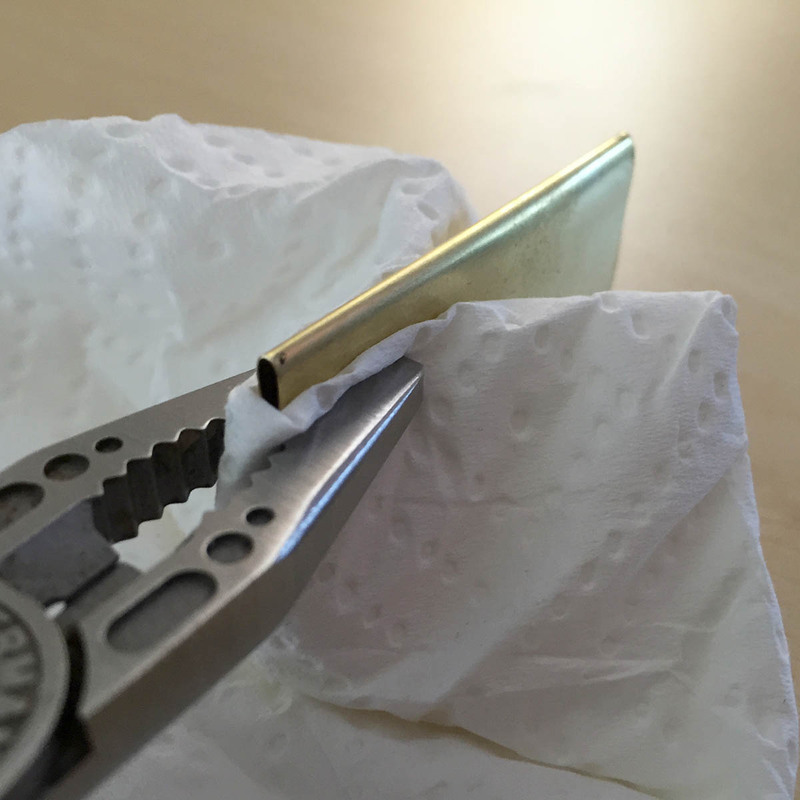 If you’re a tedious perfectionist like me you’ll want to make sure you have a paper towel or some tissue paper to place between your pliers and the brass, to avoid ugly scratches and minimise dents from pinching in your finished product. Don’t pinch along the actual spine of the nib as you fold the pen down. You want the spine to remain slightly rounded like in the photo above, so it can better serve as an ink reservoir when dipped. By the end of the fold, you want the spine to maintain its rounded shape, and for the two sides of the nib to be flat (not bowed outwards or inwards) and gradually converge to touch or nearly touch at the far edge, as below. You should worry more about the convergence once your nib has been cut to shape. I tend to focus on this when shaping the nib holder section at the back. 4. Design Your Nib Shape. This is one of the cooler parts. Draw the shape you would like for your nib on one side roughly. Keep in mind that your pliers aren’t going to allow much re-orientation as you cut, so you should try to sketch a nib that can be formed with straight cuts going all the way through across the surface. The two right side examples below have a composite cut at the base. Jaggedness here isn’t that big a worry as this area won’t be in contact with paper. Just be careful not to overdo the cut and end up cutting the whole back end of the nib off. There are a few different designs you commonly see, and to start out you’re probably better off making one of each to see which you prefer. 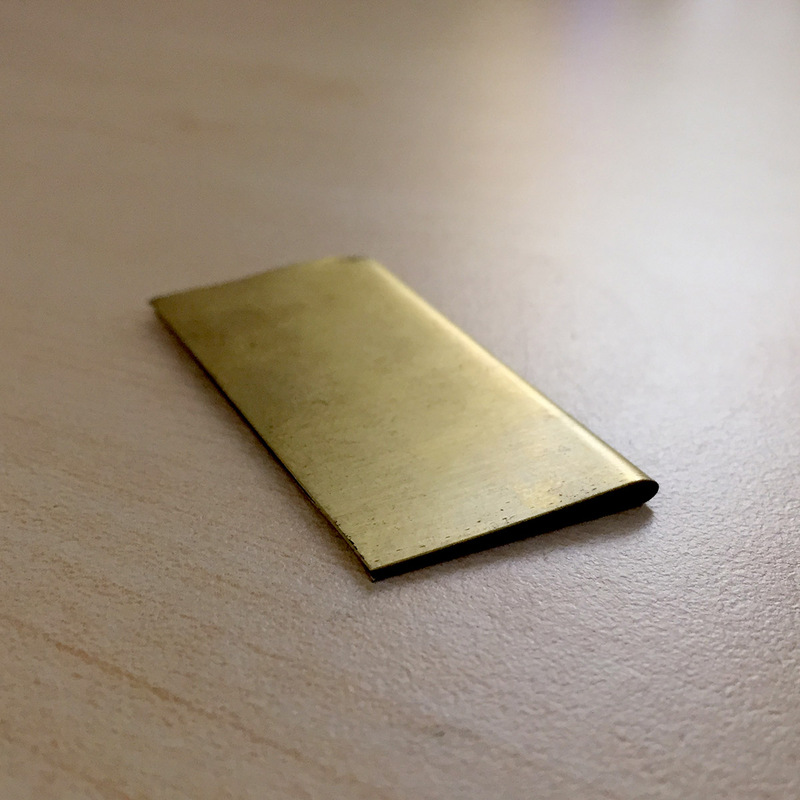 You could cut any shape you feel will yield an interesting stroke dynamic, but be mindful that the brass is too sharp when cut to be used with paper, so any shape you cut will need to be done in a way that permits you to smooth the edge out afterwards with a file. Some examples of common nib shapes. The left two produce narrow and broad, single width strokes. The curvature in the right example allows you to create varied and transitional-width strokes. The black lines mark the cut points, with red indicating the final shape of each nib. The curvature near the base is necessary in the two right examples to ensure that enough of the nib’s length fits into the holder. You need at least 7-10mm. I personally prefer the long, flat nib on the left, as it is easier to submerge completely in half empty or narrow inkwells, allows for smaller lettering on the smaller paper stock I tend to use and creates even and predictable strokes. It’s also extremely easy to cut and finish and the angle of the base means it easily fits securely into a nib holder. This is the step I most regularly stuffed up. The most important cut to get right is that which defines the broad shape of the nib where it comes in contact with paper. So make this first and then follow with the remaining cuts. 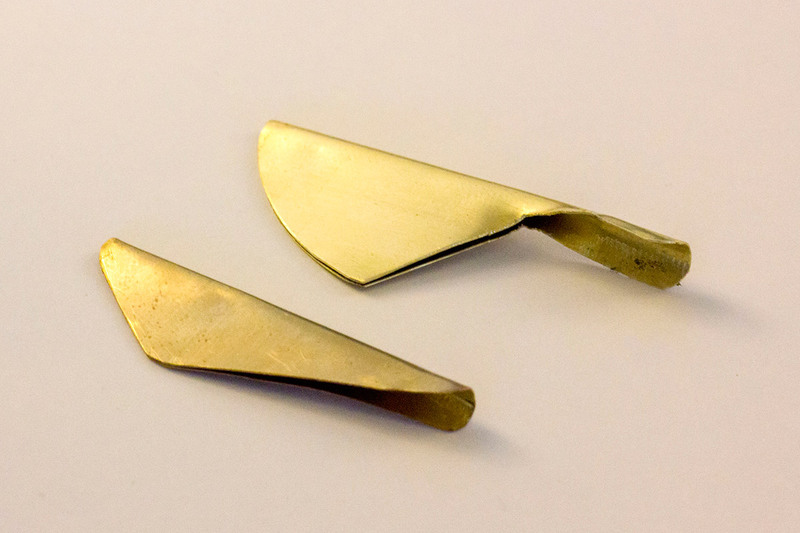 The direction in which you cut should be chosen depending on which direction you believe will yield the most uniform alignment of the folded plates of the nib. This will depend on what sort of cutting tool you’re using. Some metal shears deform to one side of the blade but not the other. Whatever you’re using, just take care to keep things as uniform on the nib side of your cut as possible. You should avoid cutting through the spine of the nib, as this will cause it to be come very sharp there, which will make it much more likely that your nib tip will be prone to tearing through your paper. I also prefer to keep the tip a little more open than the rest of the nib so ink flows more freely there. Pinching the tip as in the below right example will also reduce the internal volume, which will in turn reduce ink retention. You want to avoid jagged corners wherever possible. While you can trim off jagged edges pointing out, its a lot harder to trim and smooth jagged edges pointing inwards. I take this constraint into account and design nibs around this issue, ensuring that wherever possible, my cuts travel all the way across the surface rather than changing direction midway. 6. Shape for your nib holder. If you’re planning on fitting the nib to a standard nib holder (which I’d recommend), then you’ll need to shape your new folded nib to fit into it. This involves opening up the back end of the nib a little bit. Pinch the business end of the nib between your fingers firmly to prevent it from opening up or deforming while you’re re-shaping the base. Use pliers to work your way into the fold at the base and then roughly unfold the area until you have 7-10mm length opened. I do this using pliers, being careful not to allow this widening to also affect the folded plates, which you want to keep as close together as possible. Pinch the plates together as you work the base open, to make sure you don’t deform the nib incorrectly. 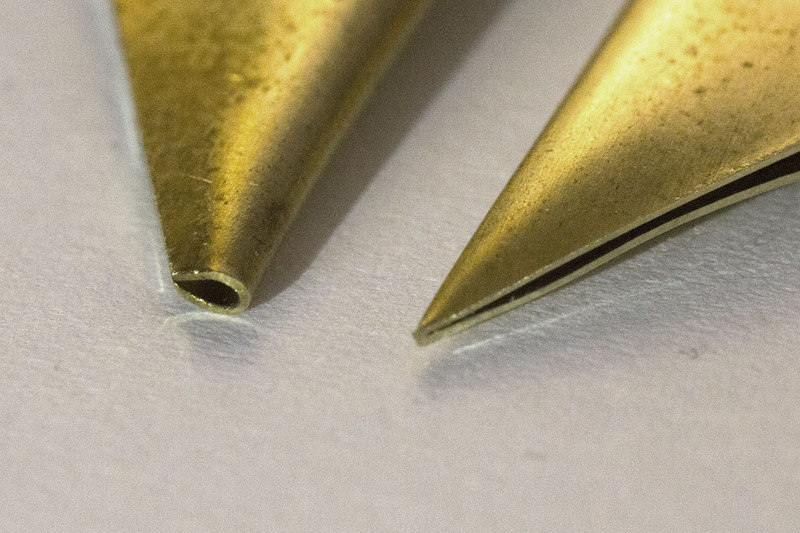 You may want to cut off any sharp corners at the base of your nib once you have it apart, to prevent it from damaging the interior of your nib holder. Once you have it at the approximate shape you need it to be, try fitting it into your nib holder. Remove, adjust and repeat as necessary until you have a snug fit that goes in far enough to prevent the nib flexing sideways when you press it to paper. I have a cheap Speedball nib holder which I keep specifically to check the shape of the nib holder. The brass is fairly strong and will warp the plastic a little bit if its not quite right, so working this way means I dont damage my nice nib holders. Don’t use a wooden nib holder for this, as pushing the brass nib in when its not perfectly formed will splinter and deform the wooden interior. A completed nib should have about one nib’s worth of width between sides, to allow for ink to pass through. 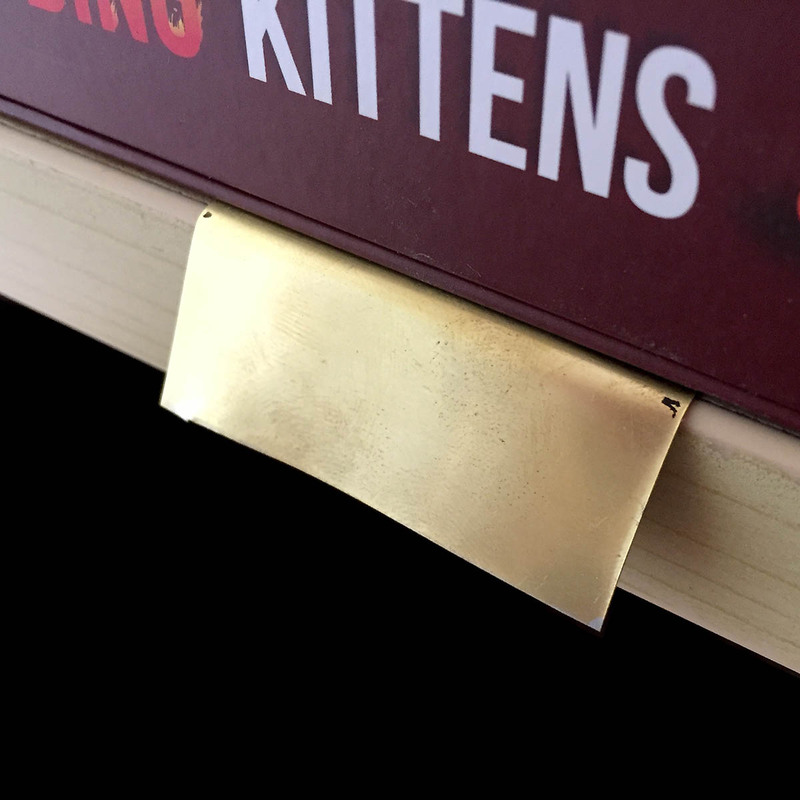 Pinch near the spine with fingers or pliers until you have the plates aligned optimially, sliding a sheet of brass between to test, and you’re ready to polish. Brush your nib against a file, to take off any teeth and sharp edges. You should try to make the tip as smooth as possible while keeping it in the shape you want, as any sharp edge will make the nib harder to draw across paper smoothly. 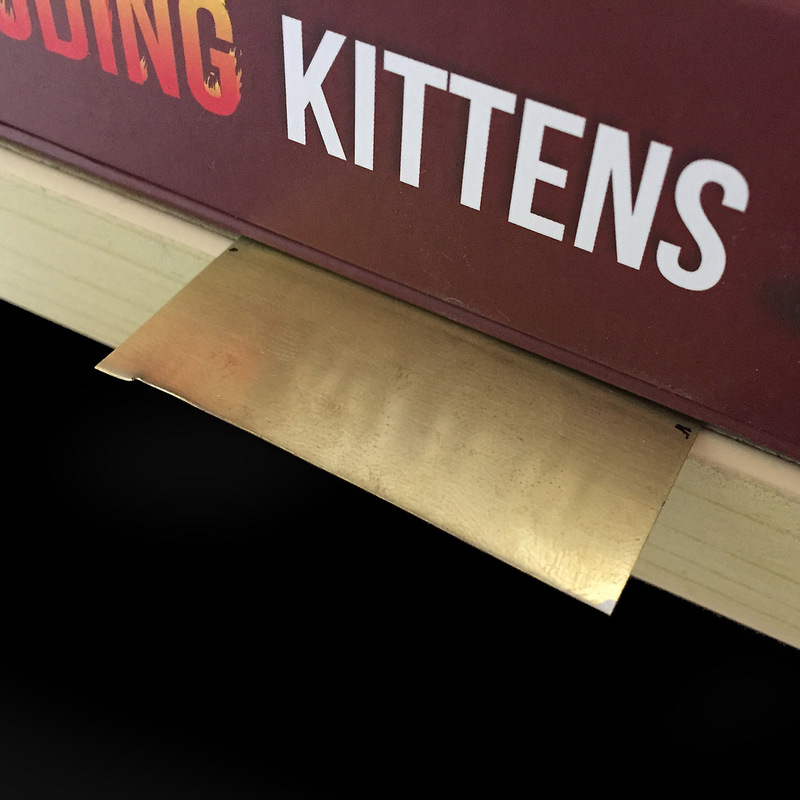 Use sandpaper to give the edges a smooth finish. Run your fingers over all edges to make sure there are no areas likely to catch on your paper. Don’t smooth out along the vertices inside the nib. 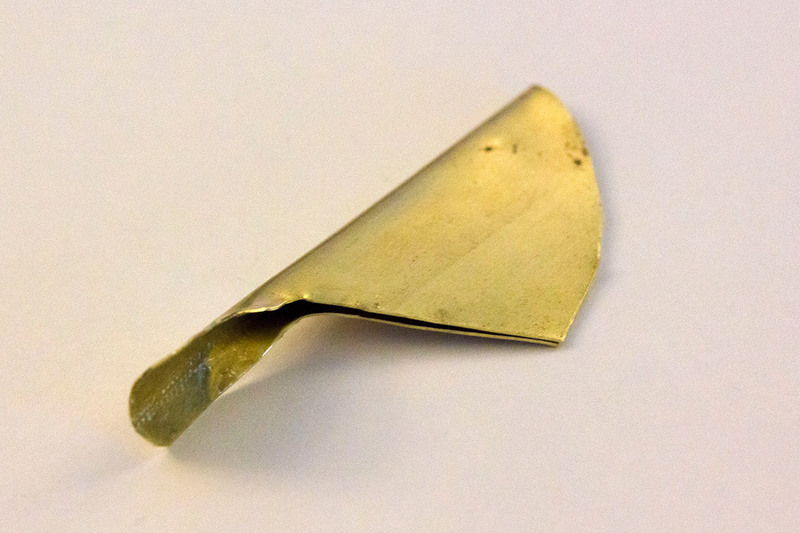 Leaving this inner edge flat and angular as shown in the below left example means the ink pools closer to the edge of the nib where you need it. Rounding the inside off as in the right example will cause the ink to form a barrier further inside the nib, making it harder to start your strokes. LEFT: Square edged inner nib with good ink placement. RIGHT: Rounded inner nib with recessed poor ink placement. You can buff out fingerprints and stains using a mixture of lemon juice and salt (as an abrasive). I don’t tend to bother with this step as they get a fair bit of wear and marking through general use anyway, but each to their own. By the end, you should have something somewhat similar to the above. 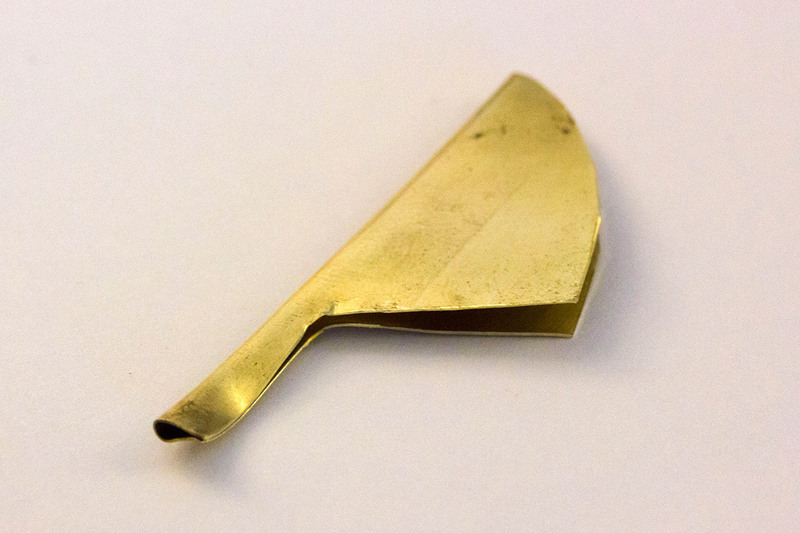 A nib with a smooth edge, with about enough space between the folds to fit a sheet of your brass material. Slide it back into your nib holder and you’re good to go! A couple of demonstrations by Uvulus. A ruling pen in use.